Leading packaging producer Smurfit Kappa Group has completed the acquisition of Reparenco, a paper and recycling business in the Netherlands, for no less than EUR 460 million. According to Smurfit Kappa, Reparenco is a ‘strong cultural and strategic fit’ with the group’s existing European activities. The business deal is expected to deliver synergies of over EUR 30 million. Reparenco operates paper mill in the Netherlands with a total capacity of 675 000 tonnes as well as a 750 000 tonne recovered fibre operation. The mill comprises two machines with capacity of 405 000 tonnes of recycled containerboard and 270 000 tonnes of graphic paper – with the potential for conversion to containerboard. ‘We are very pleased to complete the acquisition of Reparenco and to welcome their 315 employees to Smurfit Kappa,’ comments Saverio Mayer, ceo of Smurfit Kappa Europe. ‘Reparenco represents early delivery of a central element of our plan to increase our European recycled containerboard capacity,’ he reveals. The ceo says the Dutch recycling company is ‘ideally situated’ in Smurfit Kappa’s core European operating region where there is steady demand driven by growth in e-commerce, lightweight materials, and increased substitution of plastic with paper-based packaging. ‘We are also pleased to have acquired a high quality graphic paper machine. While it offers the potential for conversion to containerboard over the medium-term, our intention is to continue to produce graphic paper for our customers for the foreseeable future,’ remarks Laurent Sellier, chief operating officer of Smurfit Kappa Europe. ‘The 750,000 tonne recycling operation increases our security and quality of raw material supply and also ensures we can provide our customers with greater certainty about the quality and performance of our products,’ Sellier points out. Smurfit Kappa Group employes around 46 000 people across 35 countries, with global sales totalling EUR 8.6 billion in 2017. 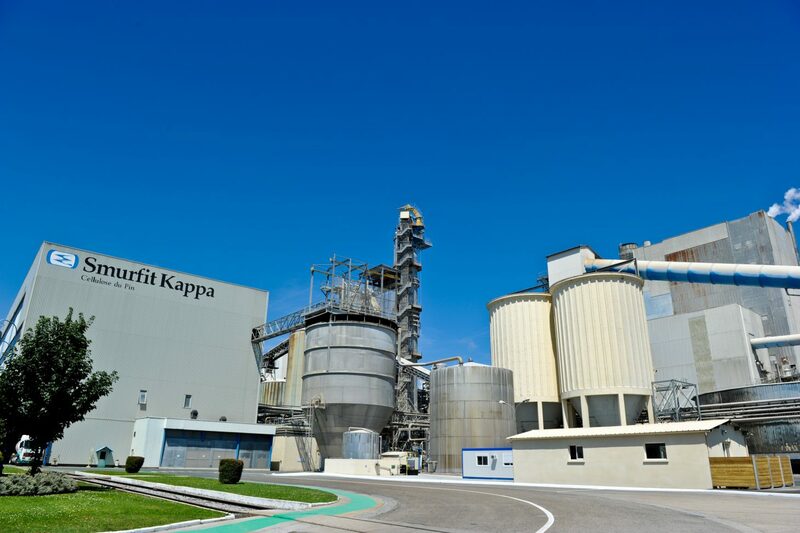 Meanwhile, Smurfit Kappa’s Cellulose du Pin Paper Mill in Facture, France, recently celebrated its 90th anniversary. The French plant started operations back in 1928 and now produces 500 000 tonnes of kraft annually.